Ever since Cricut announced the Easy Press, I couldn’t wait to own one. The possibilities are endless now that I am an Easy Press owner, tee shirts, pillows, mugs, and so much more. 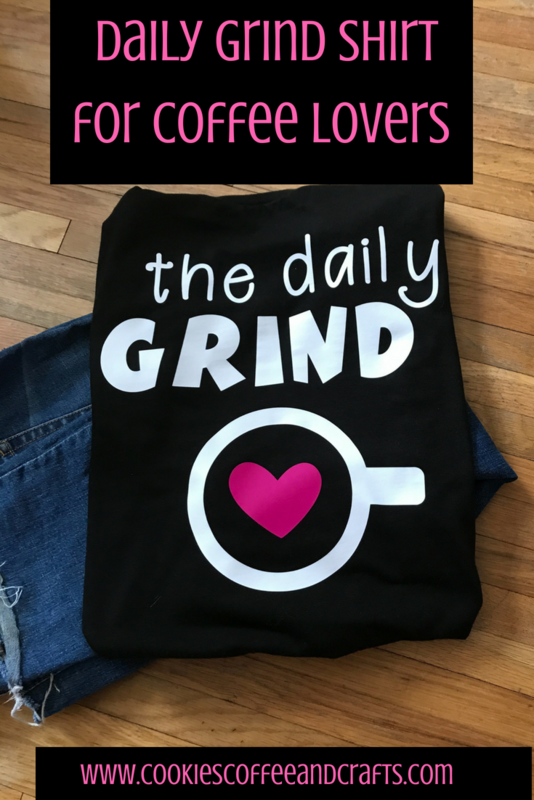 I’m a huge fan of coffee (the name of my blog gives that away) so I had to create a shirt for coffee lovers. I have made shirts for my children and niece, but now it’s my turn. I was browsing Pinterest and I came across these coffee printables, find them here. This is where I found my inspiration for my shirt. I am really happy to work with our sponsor, Happy Crafters today to share this project with Happy Crafters HTV (Heat Transferred Vinyl) and shirt. 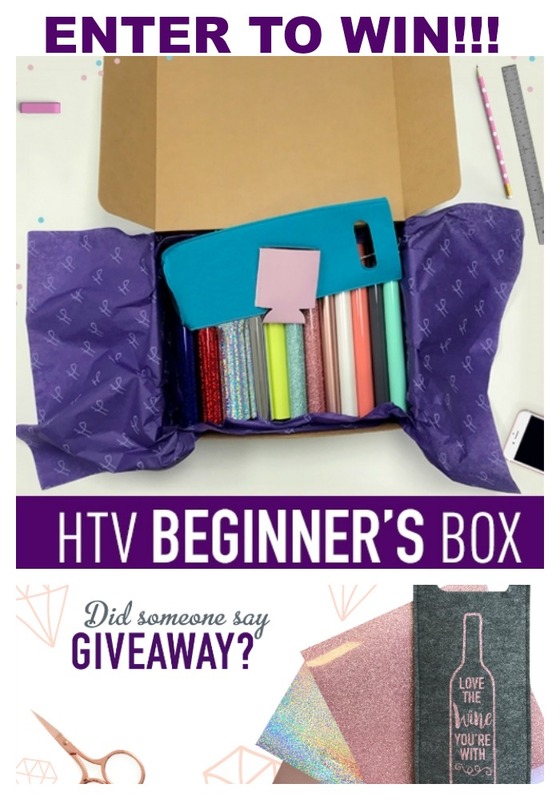 I love their HTV and it’s the only place I buy from. Plus the shirt is to comfortable and soft. Below are some affiliate links and I may make a commission for purchases made through the following links. To create the SVG, I chose these 2 fonts berrylicious and boink corn (which is available through Cricut Access Premium). That is the silliest name for a font. 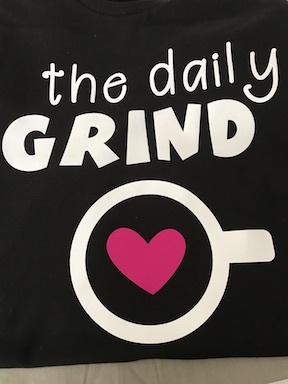 “The daily” is written in berrylicious and “GRIND” is written in boink corn. I created the coffee cup by taking an outline of a circle and a rectangle and welding the two pieces together to create the cup. Then I added my favorite heart in the center of the cup. 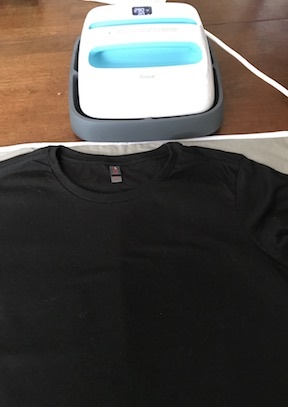 To size my SVG in Cricut Design Space™ I used the shirt template and made the shirt template black (the color of my shirt). 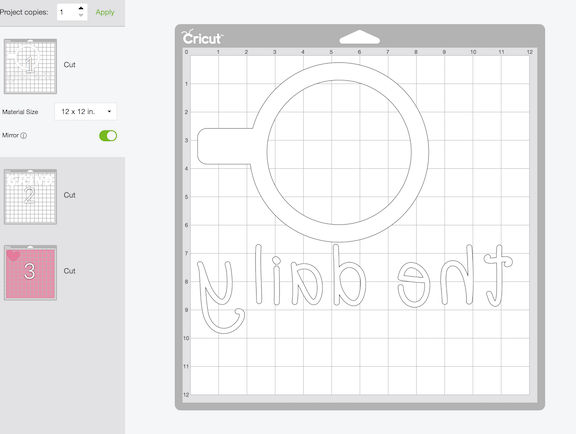 Then I was ready to cut my Heat Transfer Vinyl (HTV) on my Cricut. Remember these 2 Very Important Things- Shiny Side facing down on the cutting mat and cut a mirror image. The mirror image is by the mats after you click “Make It.” Remember to click mirror image for every mat and it should turn green like in the picture. Then weed your HTV very carefully and get it ready to press. 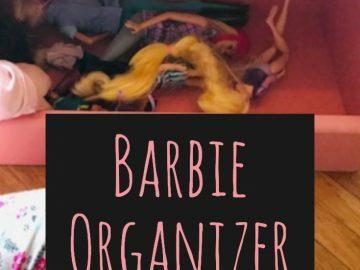 I lay mine out and figure out how I want it to go. I also measure to make sure it is in the center. Remember to heat up your shirt before pressing on your design. Make sure to check the EasyPress settings because it’s different for the different types of HTV. Here are the recommended settings. 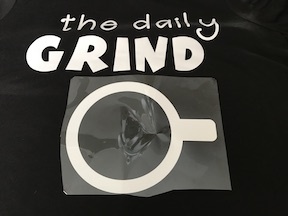 Since my design is larger then my EasyPress, I pressed the daily and grind at the same time, but did it half and half. Then I pressed the coffee cup. Last was the cute heart for inside the cup. Then turn the shirt over and press the back for 10-15 seconds. I’m so excited to wear my new shirt! It’s so cute and it’s perfect for me. 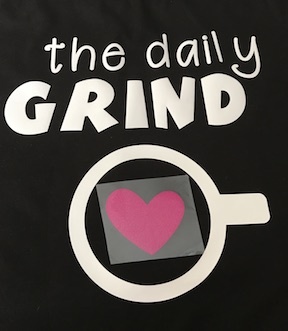 For all my coffee loving friends, here is the file to create your own Daily Grind shirt for coffee lovers. 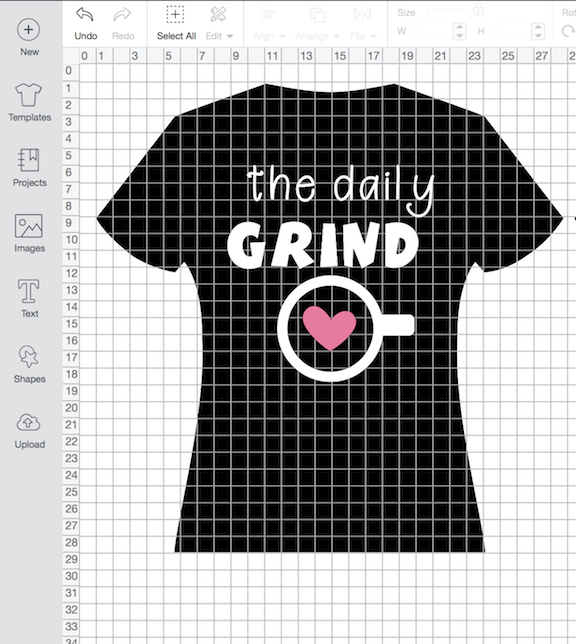 Now find out what kind of shirts my Cricut friends have created for this months challenge.